A branch of Computer Science named Artificial Intelligence (AI) is usually defined as the science of making computers do things that require intelligence when done by humans. AI has had some success in limited, or simplified, domains. However, the five decades since the inception of AI have brought only very slow progress, and early optimism concerning the attainment of human-level intelligence has given way to an appreciation of the profound difficulty of the problem. According to the father of Artificial Intelligence, John McCarthy, it is the science and engineering of making intelligent machines, especially intelligent computer programs. 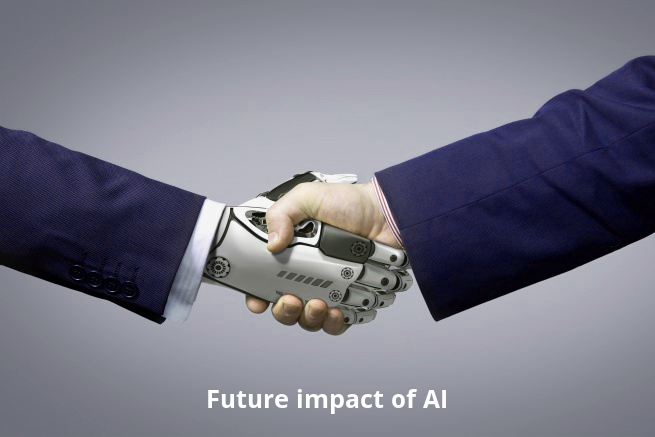 Artificial Intelligence is a way of making a computer, a computer-controlled robot, or a software think intelligently, in the similar manner the intelligent humans think. AI is accomplished by studying how human brain thinks, and how humans learn, decide, and work while trying to solve a problem, and then using the outcomes of this study as a basis of developing intelligent software and systems. We're seeing ongoing discussion around evaluating AI systems with the Turing Test, warnings that hyper-intelligent machines are going to slaughter us and equally frightening, if less dire, warnings that AI and robots are going to take all of our jobs. 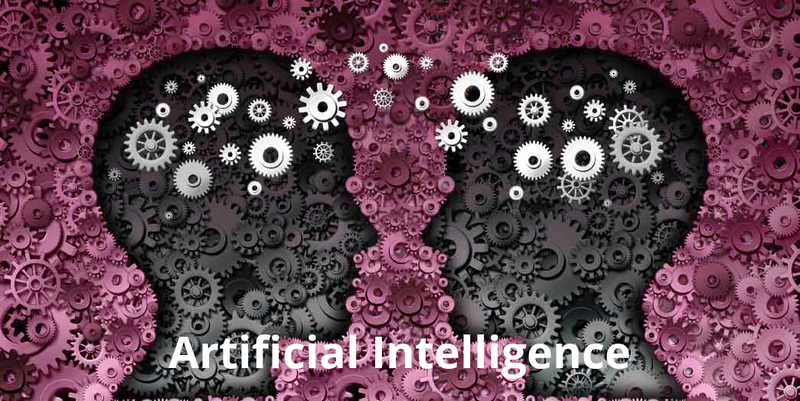 In parallel we have also seen the emergence of systems such as IBM Watson, Google's Deep Learning, and conversational assistants such as Apple's Siri, Google Now and Microsoft's Cortana. Mixed into all this has been crosstalk about whether building truly intelligent systems is even possible. How AI will change our future? Humanity is moving forward at great strides, or at least at the technological level. No aspect of our lives goes by without technology touching it somehow, either for better or worse, and we're only in the beginning stages. So what's in store for the future? Robots and artificial intelligence, and further down the long, winding path of history, transhumanism, the cherry on the cake. While robots and AI are not new, it's taken some time to develop them. Predicting the weather accurately can be tricky, especially when you have to go through large volumes of data, but thanks to artificial intelligence software currently being developed that may soon change. The software will be able to sift through all the available data, get a clearer and better picture of approaching weather phenomena and issue the corresponding early warnings, thus saving lives. One of the earliest promises of AI described in science fiction from Isaac Asimov to the Jetsons was robots that could perform household chores and eliminate the drudgery from the workplace. That promise has been fulfilled in part by the programmable robotic vacuum cleaner in your home, which can maneuver around obstacles like stairs, furniture and even the cat. Intelligent robots will not only clean your living room and do the dishes, but may also tackle jobs like assembling furniture or caring for kids and pets. The autonomous, driverless car, is already here thanks to Google, and several US States have already passed legislation allowing them to roll down the road. The technology uses a LIDAR laser radar system and a range finder. The system allows the vehicle to generate a detailed 3D map of its environment. The car then takes these generated maps and combines them with high-resolution maps of the world, producing different types of data models that will allow it to drive itself. For more than a decade, robots have been used to perform precision tasks in operating theaters. These robots are not self-thinking but are controlled remotely by a surgeon. As AI develops, the robots will be equipped to perform complex tasks by themselves, including advanced diagnoses. Algorithms will also be able to more efficiently sort through data. We will save about ten times more lives in healthcare than we will on the roads. if it is a few years away from becoming reality. Yet, one company in Japan created just that - a companionship robot designed to comprehend and replicate emotions. Named 'Pepper,' the robot went on the market in 2015 and all of its 1,000 units were sold out in only one minute. Pepper entered the U.S. market in 2016 and is known as the first humanoid robot designed to adapt its behavior in accordance with how the person in its company is acting. Police forces in the UK are already using tech that can direct officers to crime hotspots – essentially using AI mapping to predict where something will happen. But officers could harness AI’s processing power even more thoroughly in the future. The software can help solve crimes by quickly analyzing information from databases and surveillance systems. Machines with AI do a broader range of jobs than ever before. Amazon is working to replace couriers with drones, proof-readers are being phased out by apps such as Grammarly and you have probably already received robocalls on behalf of telemarketers. Programs sift data faster and more efficiently than humans. A firm called Fama uses AI to scan social media profiles of job applicants and will flag up potential risks to your company. Jobs such as financial auditing can be carried out by specialized programs that use AI and image recognition to analyze reams of information. Artificial intelligence and robots will play a major role in space travel in the not-so-distant future. NASA already depends on unmanned shuttles, rovers and probes to explore distant galaxies that would take years for humans to reach. Autonomous land rovers have recently given researchers a treasure trove of data and photographs collected from the Martian surface, where inhospitable conditions make human exploration impossible. These smart vehicles sense obstacles, like craters, and find safe paths of travel around them before returning to the shuttle. Artificial intelligence is widely used to protect families from burglaries and the country from terrorist threats. The U.S. Department of Homeland Security uses an array of AI technology to safeguard the nation, including virtual smart agents to supplement its human workforce, and sophisticated software monitoring systems, which scan phone calls and other communications by sifting through large volumes of data quickly and sorting out casual conversations from potential threats. Modern home alarm systems that use AI distinguish between occupants and unknown persons. AI is also a fundamental part of the concept of the Internet of Things, a world where machines and devices all communicate with each other to get the work done, leaving us free to relax and enjoy life. However, as we've previously seen with the internet revolution, and the big data revolution, and all the other technological revolutions of recent times, there are obstacles to be overcome before we reach this technological utopia. As businesses scramble for their share of a $70 billion market, some will inevitably prosper and some will fail. Those that manage to succeed are likely to be those which can manage to see beyond the hype, and answer hard questions about how this technology can add real value and drive positive change.